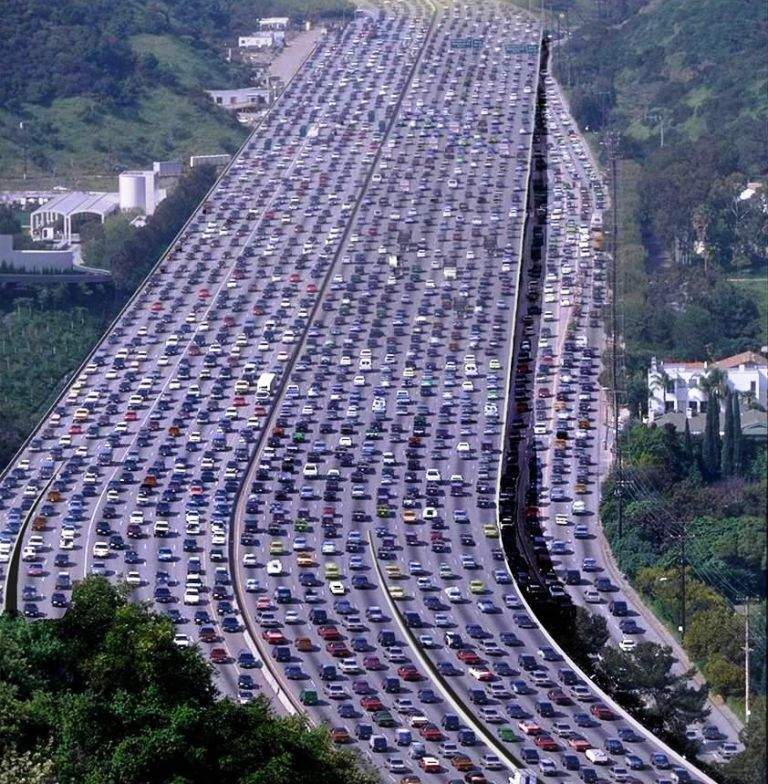 Back in the 1940’s urban planners found that building or expanding roading increased traffic congestion. This point was further reinforced in NY in 1973 when the West Side Highway collapsed and the predicted traffic chaos was instead a reduction in traffic. San Francisco found a similar result with the destruction of the Embarcadero freeway in the 1989 earthquake. The U.K. has found that removing downtown roads boosts the local economy. For generations traffic engineers, encouraged by the auto, petrol, road building industries, have been taught to think of more and bigger roading projects as the solution to congestion. The current National government is a true believer and has committed NZ to spend $12-14 billion on their Roads of National Significance (RoNS) aka Roads of National Stupidity. This is about $6 billion more than they hope to raise from asset sales. For more on latent demand check out this excellent article. In Christchurch Mother Nature has implemented a massive urban renewal programme. With much of the downtown leveled we have the opportunity to build a transport system for people. The Share an Idea process sought to consult broadly with the community for what they want. Cycling was the big winner in the transport category with over a thousand more comments supporting cycling than any other transport mode. 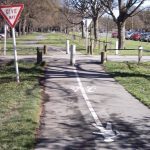 Even more hopefully the Christchurch City Council (CCC) has been updating and consolidating their transport planning and a soon to be released draft Christchurch Transport Plan (CTP) acknowledges and documents many of the real benefits to be achieved by delivering cycling and walking networks. Kudos to those involved. The draft plan was to be adopted at the 28 June 2012 CCC meeting, but we are told it was sent back to strengthen the cycling and walking elements. Still, you can get a copy here. Spokes Canterbury has also provided notes on the cycling elements of the plan here. Watch this site for updates on the new draft CTP and how you can help. Local Government NZ has commented upon the GPS, arguing that higher priority local transport initiatives are being starved of funds due to the focus on RoN’s. For an even stronger response see their 2009-2010 comments. CCC needs broad support from the community to commit additional funds to advancing walking and cycling infrastructure. Building an efficient active transport network is an obvious priority for getting people back into the downtown and through out Christchurch. They need to be encouraged to work with the cycling community to identify easy wins, low cost solutions and to prioritise the spending of those funds they make available. What are the priorities? Do we really need to prioritise $13 million for new parking garages in a CBD which is full of vacant sections? Can we pare back the spending on a new stadium, or even get by on the one we have? Is $42 million for the full Town Hall rebuild more important than a liveable city where people of all ages and abilities can cycle safely? It is up to all of us who cycle, or would like to, to remind CCC to do what is required and needed. Let’s build good active transport infrastructure because, no doubt, they will come.